A decision on hiking passenger fares and on allowing foreign direct investment in railways is likely to be taken before the Rail Budget, the government said on Wednesday. 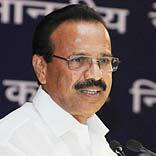 A discussion on these matters is already on and a decision regarding them will be taken shortly, Railway Minister Sadananda Gowda said. "We are discussing the matter and, within three-four days, will come to a conclusion (regarding the possible fare hike)," Gowda said on the sidelines of a conference of senior railway officials in New Delhi. He is likely to meet Prime Minister Narendra Modi in a day or two to discuss the fare hike issue. Faced with an acute cash crunch, the Railway Board has proposed a 14.2 per cent hike in passenger fares along with a 6.5 per cent increase in freight rates. The Railway Budget is likely to be presented in the second week of July. Meanwhile, asked whether FDI will be allowed in railways, Gowda said, "Practically, we are short of resources, which is well-known to the people of the world. So, some resource mobilisation should be taken as being one of the priorities of railways. I want to have discussions with the commerce ministry. "Yesterday, too, I had a small discussion with Commerce Minister Nirmala Sitharaman in this regard." Talking about his meeting with Sitharaman, Gowda said, "She asked me to come up with suggestions and we will discuss the matter and go ahead. In a day or two, I will have a meeting with the commerce ministry and will come up with a clear (stand) as far as FDI is concerned." Railways could benefit from FDI in high-speed trains, station development and last-mile connectivity. Asked what proportion of FDI will be allowed in the rail sector, Gowda said, "It will be clear only after discussions. Certain policy matters and other issues are there which need discussion. FDI cannot be brought in a secret manner or put in cold storage. It has to be done in open."